Maps of the Underground lines Barcelona 2019, line by line. 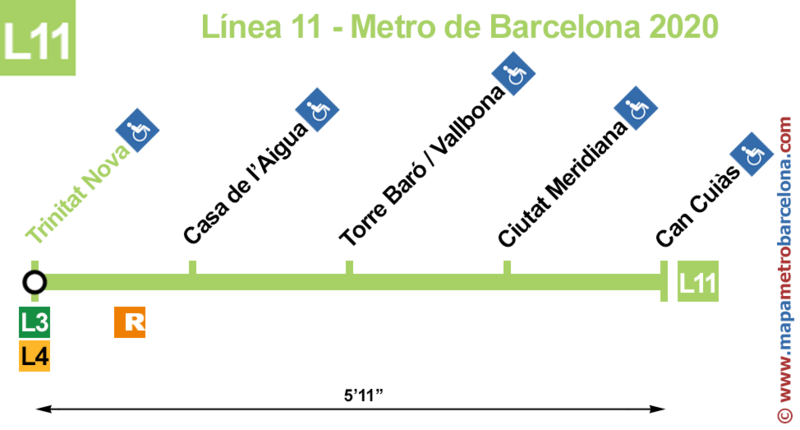 Here are the maps of lines 1, 2, 3, 4, 5, 6, 7, 8, 9, 10 and 11 of the Barcelona metro, the most complete and current Internet (January 2019). 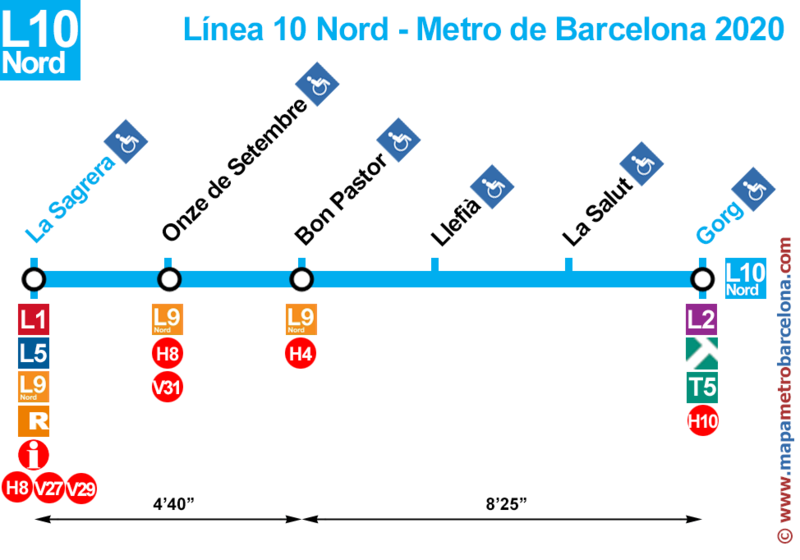 We use much the Barcelona metro and so we created the maps we'd have us. In the map below we have updated all subway stops until January 2019. We have tried to be as accurate as possible. 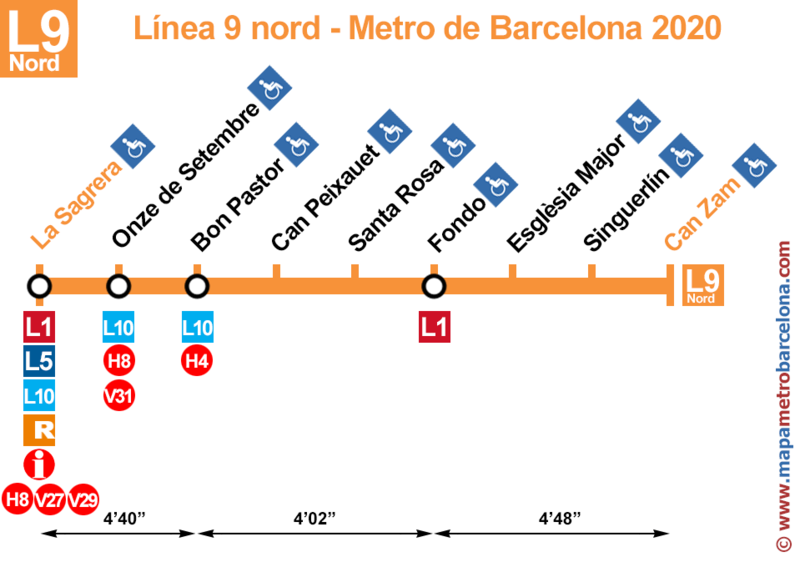 The above maps indicate the Barcelona subway lines, stops with transshipments with other transport and the stops are adapted for people who are in wheelchairs, prams or luggage. The drawings station adapted to wheelchairs, etc, are blue, but if the design is red, it means that at that station can go out by elevators, but can NOT transfer to all other lines there also at that station. 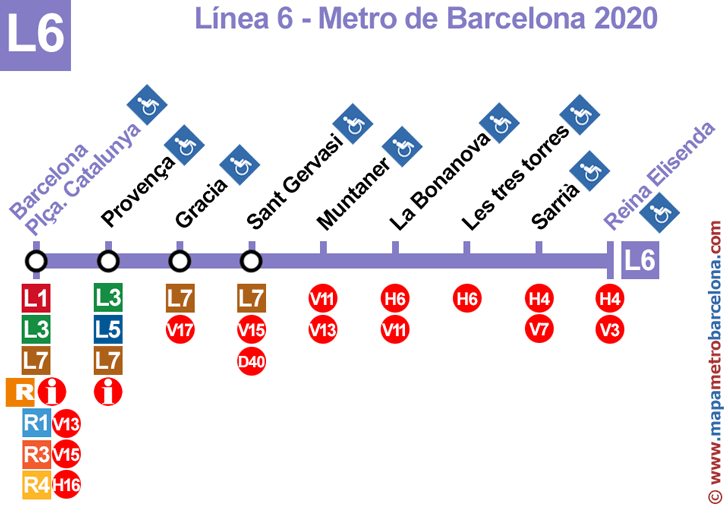 For example in the metro station Passeig de Gràcia, you can go from the yellow line (L4) to the purple (L2) and vice versa, but the green line (L3) in station Passeig de Gràcia has no elevator, no to go out or to transfer to the yellow (L4) and purple (L2) lines. In these metro stops see our full barcelona metro map for more details. The arrows and numbers on the bottom of each plane, indicating the journey between stations indicating arrow (in minutes and seconds). For example in the last shot of line 11, we can see that a Nova Trinitat Can Cuiàs takes five minutes and eleven seconds. 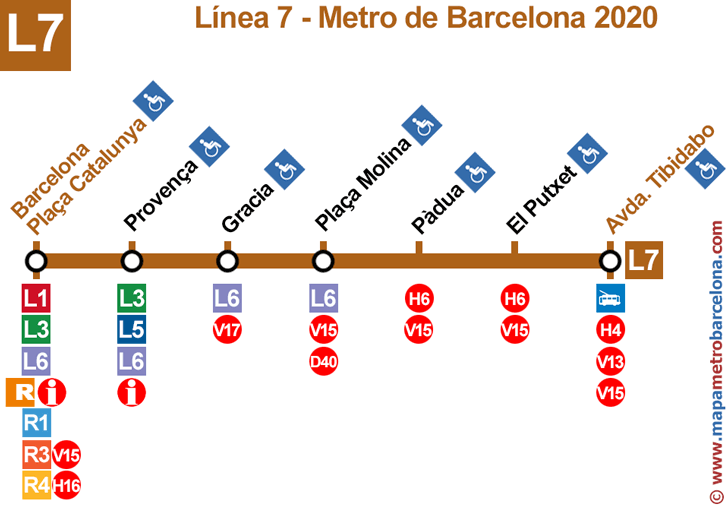 Thank you very much for your visit, we hope that our Barcelona Metro Map by lines has been useful to you.